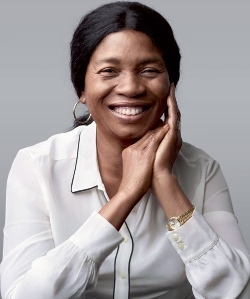 Francisca Nneka Okeke is a Professor of Physics at the University of Nigeria, Nsukka. She recently received the L’Oreal-UNESCO for Women in Science Award for her significant contributions to the understanding of daily variations of the ion currents in the upper atmosphere. She was the first woman to be the Head of Department of Physics and Astronomy, 2003 to 2006. She was again the first female Dean, Faculty of Physical Sciences, 2008 to 2010. She was the first woman Indigenous Professor in the Faculty of Science and Engineering of the University of Nigeria, Nsukka and the first Woman Professor of physics in the Eastern part of Nigeria. One of her Female PhD product won the recent AU-TWAS young scientist Award of 2010. She has contributed immensely to the development of physics at both secondary and tertiary levels in Nigeria and has conducted many workshops. She has written a number of Physics text books and articles that have enhanced the teaching and learning of Physics at both secondary and tertiary levels in Nigeria. She has written many articles that have encouraged girls/Women in reading Physics in Nigeria/Africa at Large.